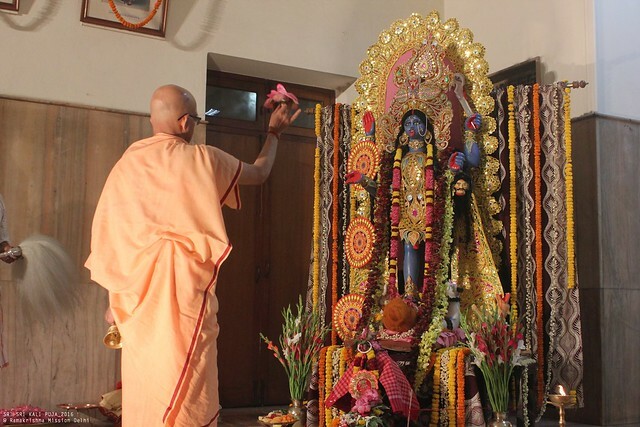 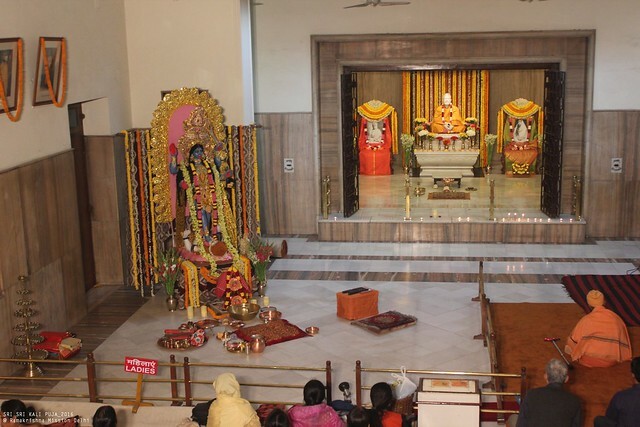 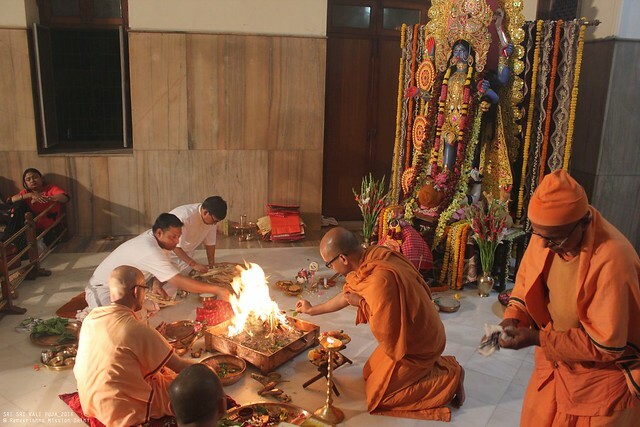 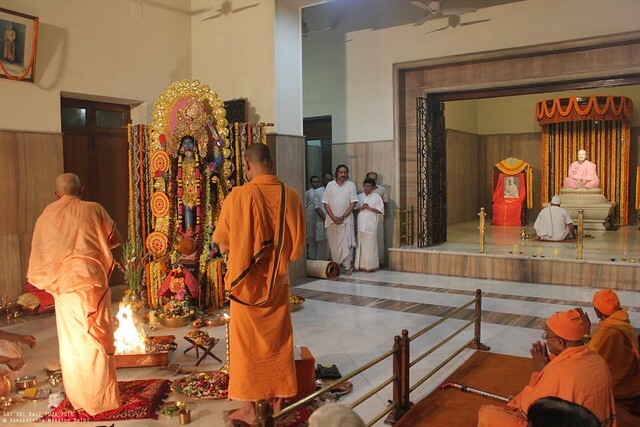 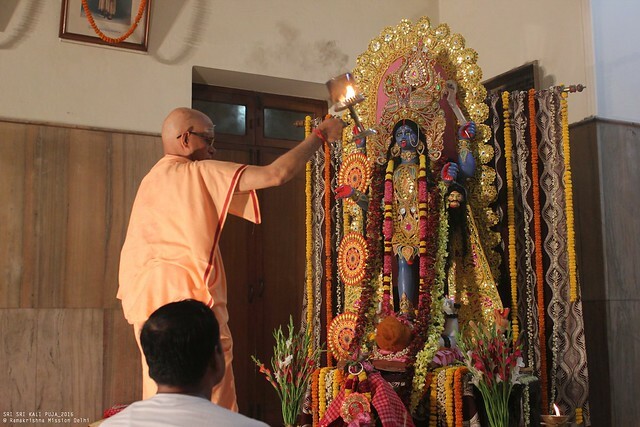 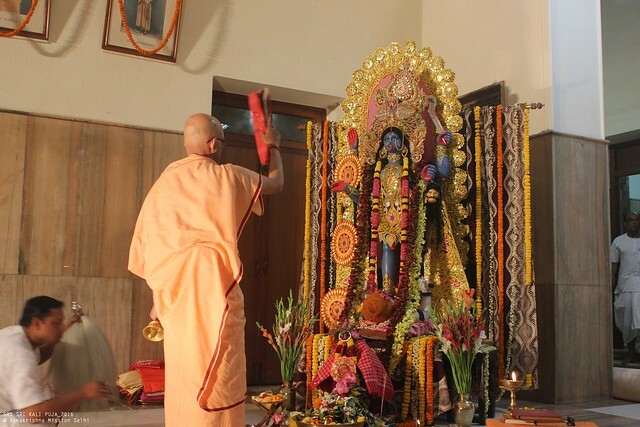 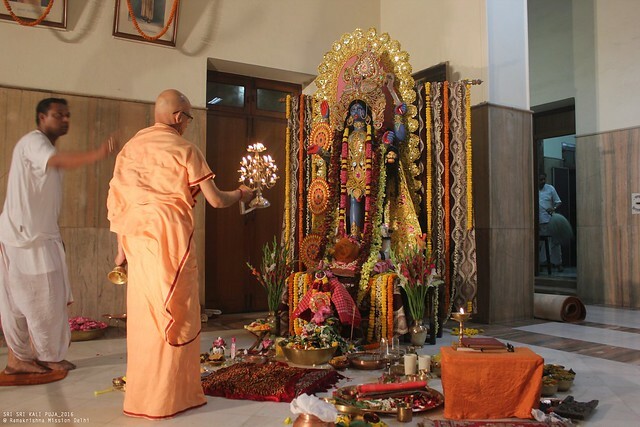 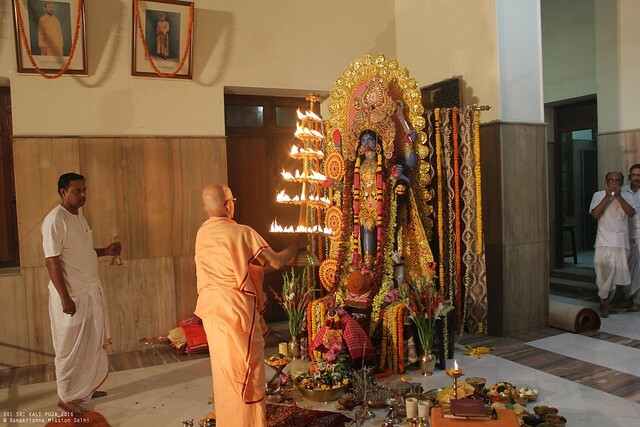 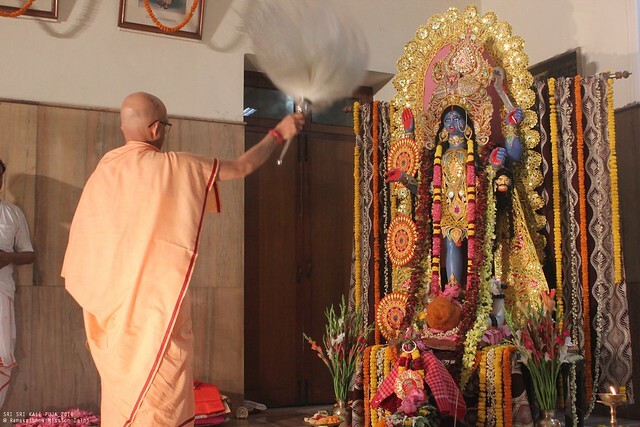 Sri Sri Kali Puja was celebrated at the Ramakrishna Mission, Delhi on 29th October, 2016. 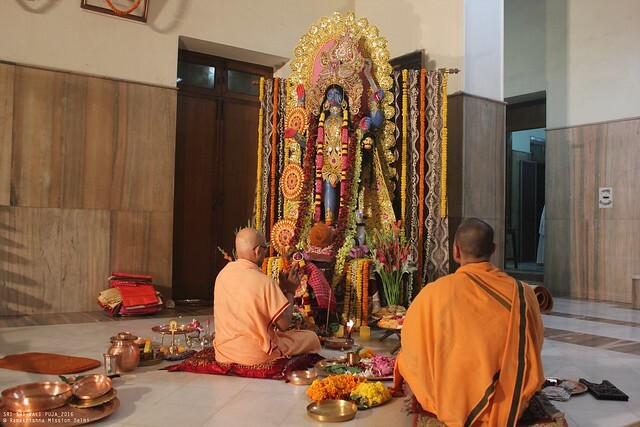 A beautifully decorated image of Mother Kali was worshiped throughout the whole night and the Puja ended at dawn. 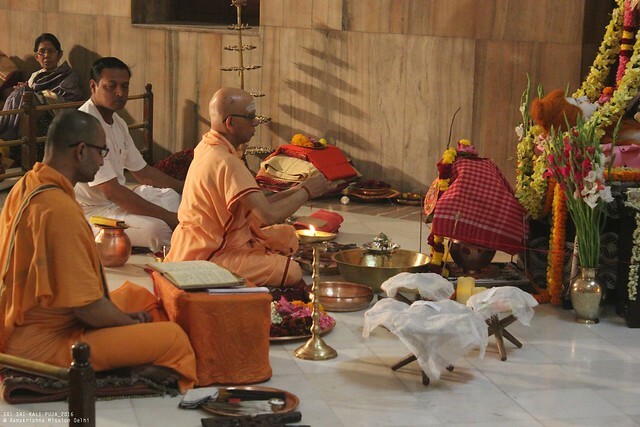 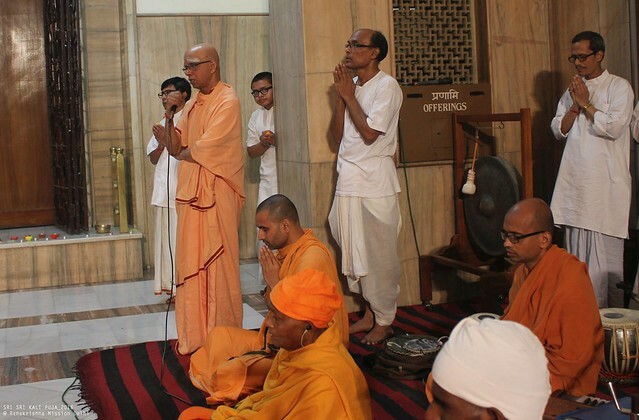 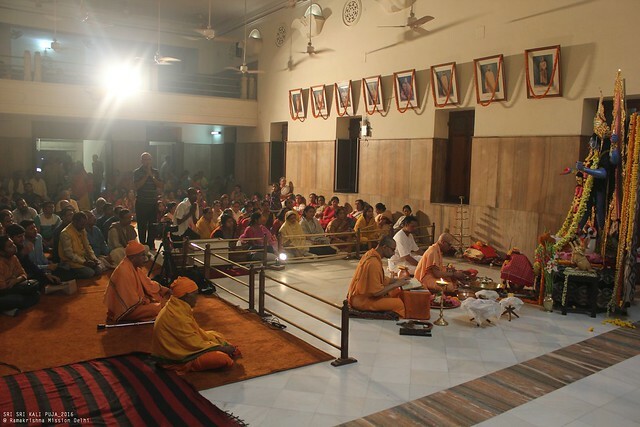 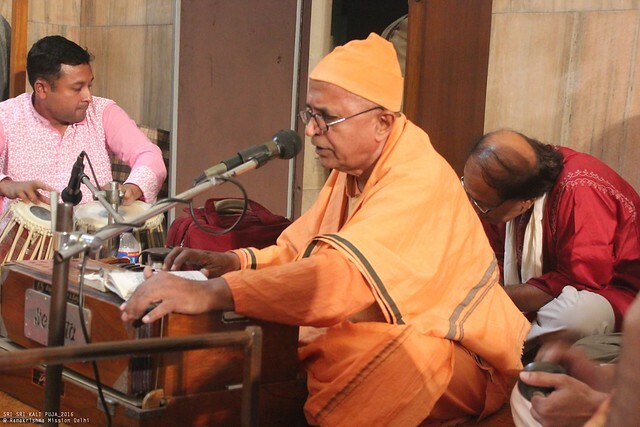 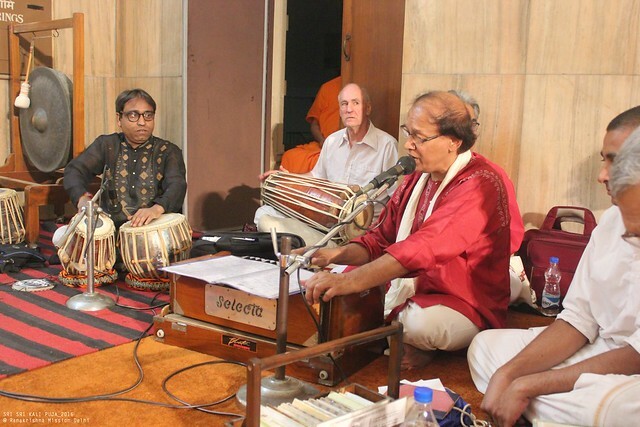 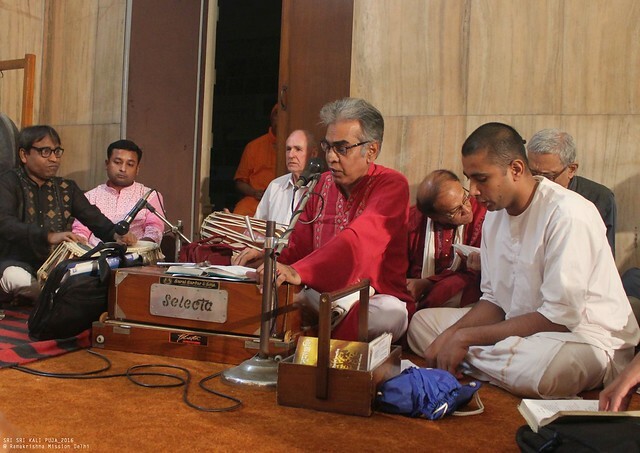 Revered Swami Shantatmanandaji Maharaj, Secretary, Ramakrishna Mission, Delhi performed the worship, with Revered Swami Amritapurnanandaji Maharaj as the assisting Tantradharak. 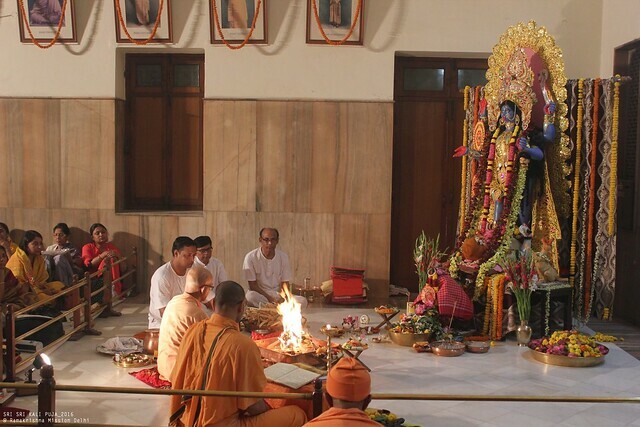 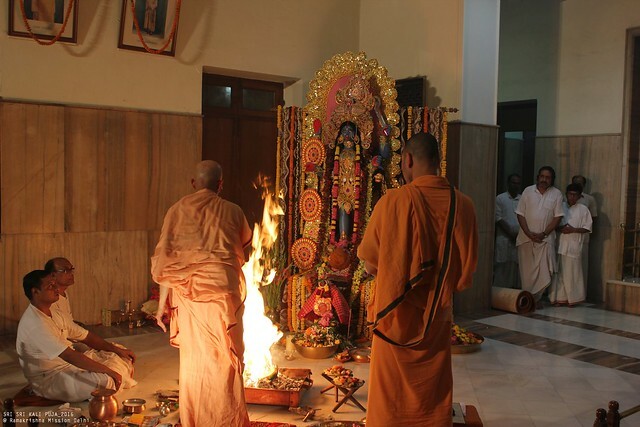 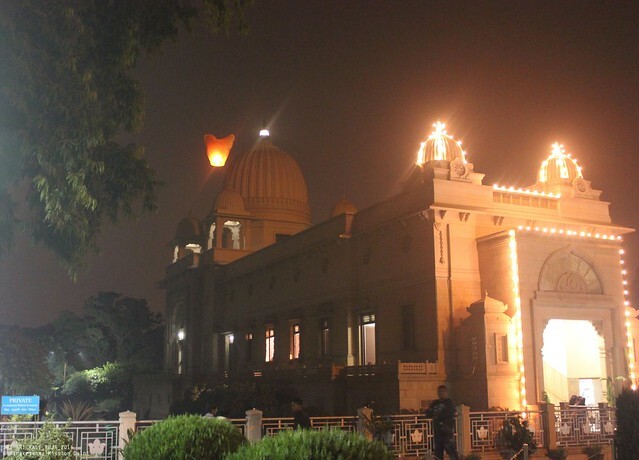 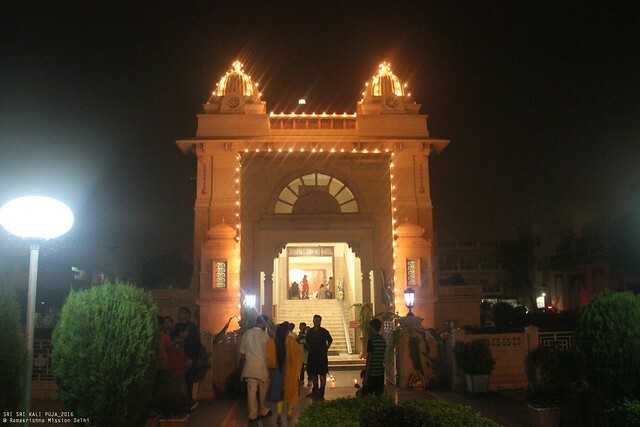 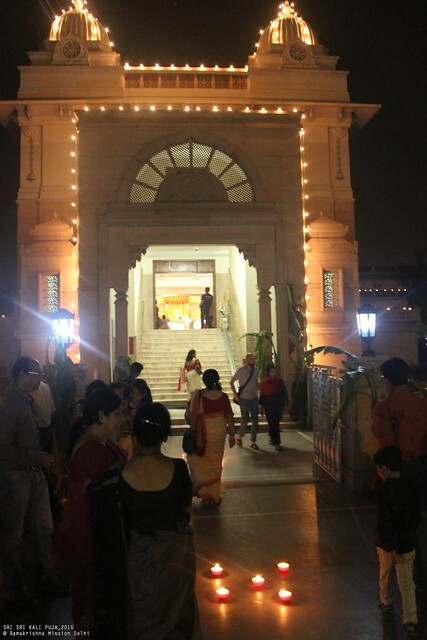 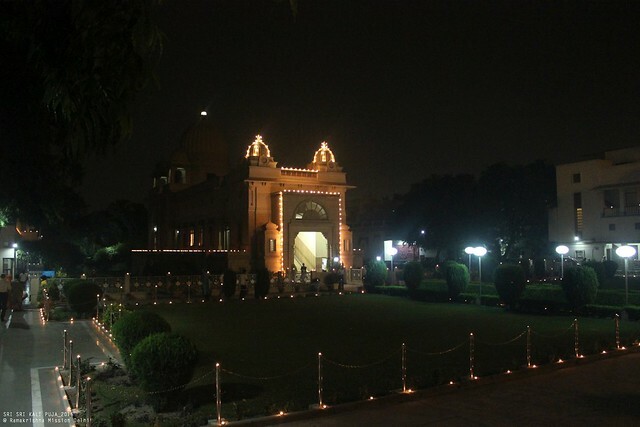 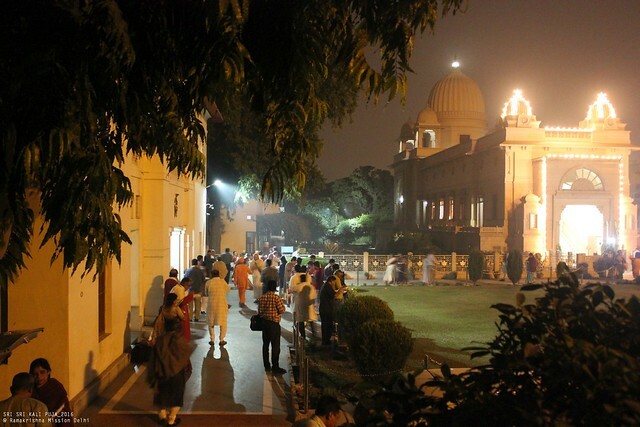 Singing of devotional hymns and bhajans to Mother Kali were rendered throughout the Puja in the night. 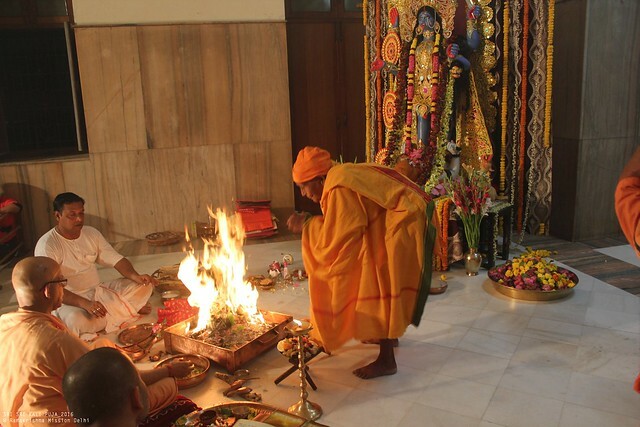 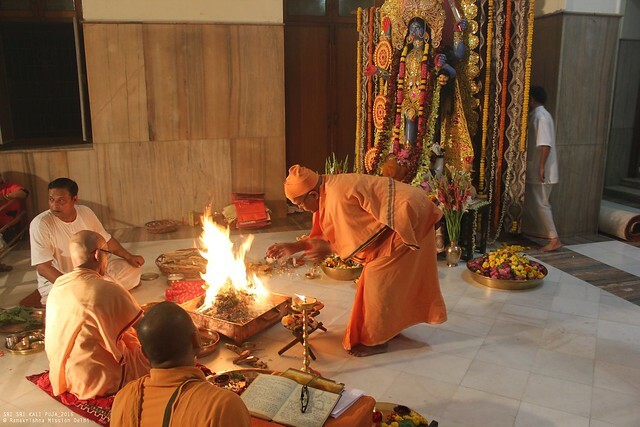 At dawn, a Homa was performed. 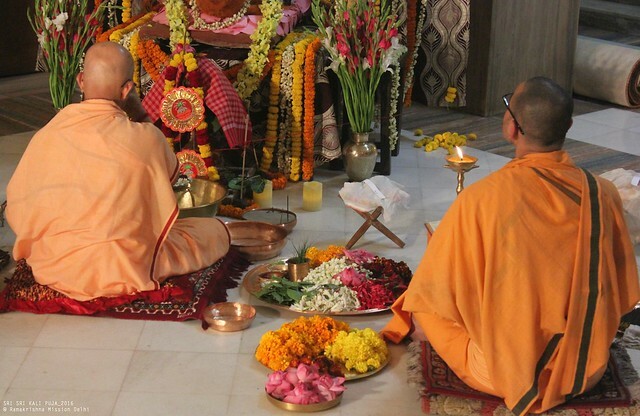 The Puja was completed in the morning hours of 30th October, 2016. 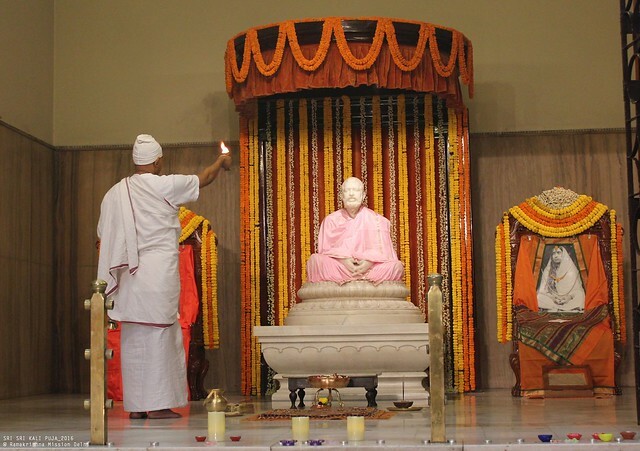 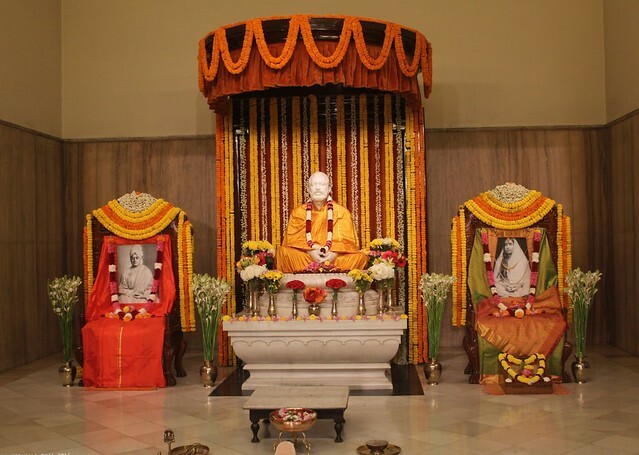 After the morning Mangalarati of Sri Ramakrishna, all the devotees were invited to take Prasad.